While you’re busy counting calories, making sure to get enough protein, and watching your carbs, there’s another macronutrient you may be ignoring: healthy fats. These nutrients are just as important as energy-sustaining carbs and muscle-building protein. In fact, omega fatty acids are essential to keeping your body working at it’s best. Without them in your diet, you’d face issues with your hormones, brain functions, and immune and cardiovascular systems. But, let’s face it: Nutrition is complex and most of us are dealing with schedules that only get more jam packed as the week progresses. So I can understand why we struggle to get the right balance of healthy omegas. If you need a crash course in omegas before you start adding them to your diet, check out this article. If you’re all caught up, let’s get going! Now, having fish for breakfast may sound a little weird at first, but when it comes to smoked salmon, I promise you’ll change your mind. 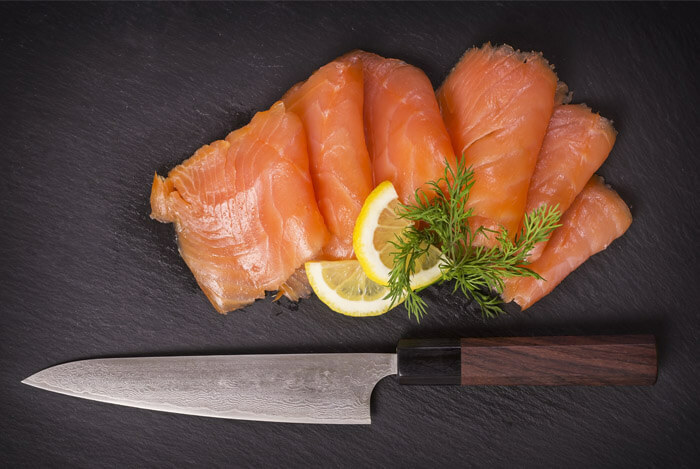 When you go for thinly sliced smoked salmon, a mere 3-ounce service will give you tons of omega-3’s. Plus, this same amount gives you as much as 15 g of protein for only 99 calories. Just be careful not to overdo this tasty treat since it is still high in calories. Everyday I’m pleasantly surprised by how nutrient dense chia seeds are. For such a small amount, there quite a few possible benefits. Despite how tiny these seeds are, a mere 1 oz serving gives you 4,915 mg of omega 3s. To weave them into your healthy diet, I like to sneak chia seeds into my oatmeal and my smoothies. 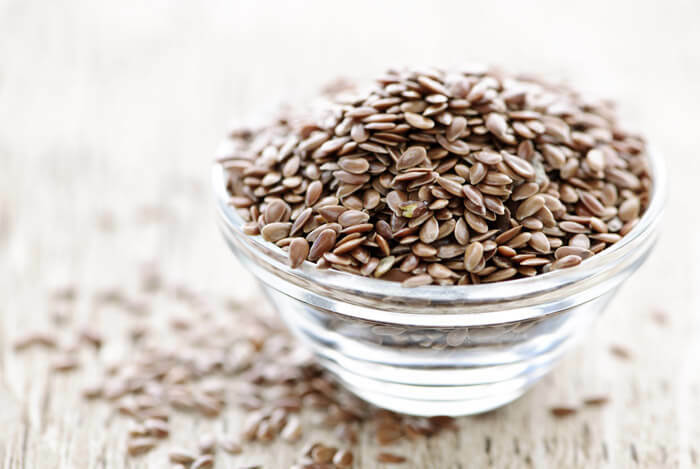 If you’re not a fan of fish or eggs, you could also sneak more omegas into your diet by eating more flaxseeds. These teeny tiny dark brown seeds are loaded with essentials such as fiber, vitamin B1, manganese, and of course, ALA or alpha-linolenic acid (an omega 3). Keep in mind that flaxseeds are similar to corn because the whole seeds can go undigested and pass right through your system. To reap all the benefits, be sure to ground up the seeds first before you enjoy them. Hemp seeds are one of those foods that doesn’t get enough credit for being a healthy allstar. 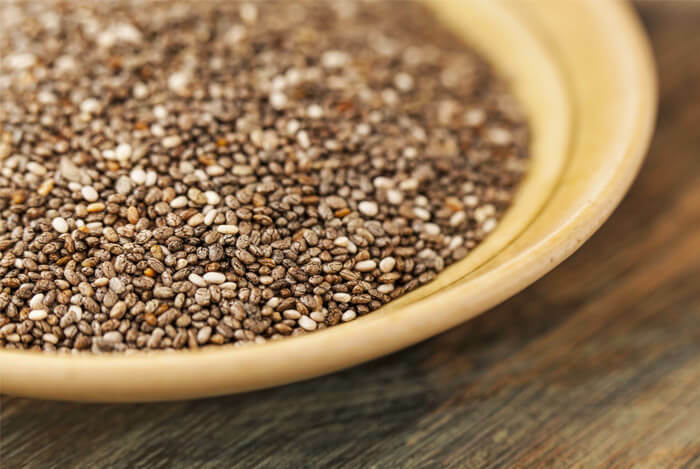 These nutritious seeds deliver a healthy dose of omega 3s to omega 6s in a 3:1 ratio. 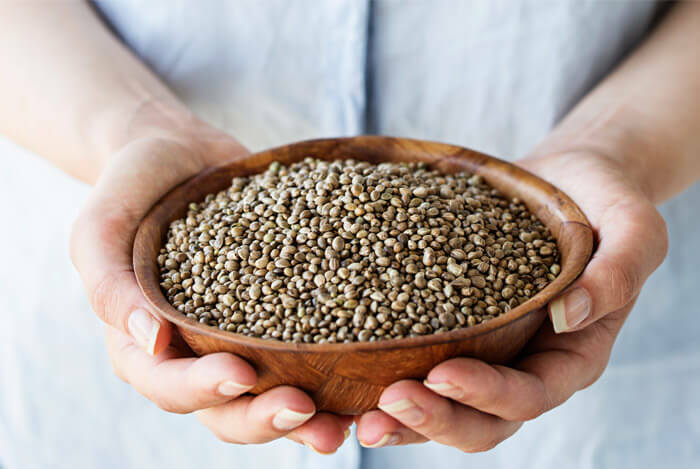 To add them to your diet, reach for either unshelled hemp seeds or shelled seeds (called hemp hearts), which can be found at your local grocery store or nearest health food store. You can also add hemp protein powder or hemp oil to your omega-boosting repertoire, too. The powder can be used in smoothies or for baking; the hemp oil can be used for salad dressings or low-heat cooking. Nuts are awesomely good for you. They can provide a boost of nutrients, protein, fiber, reduce cholesterol levels just to name a few healthy benefits. 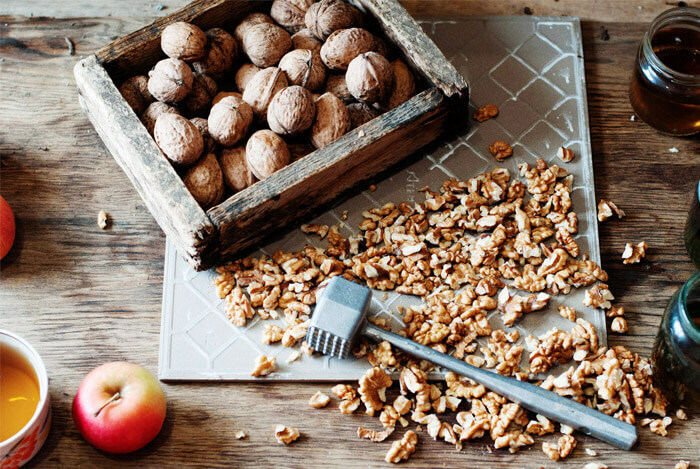 But the stand-out nut we’re highlighting today is the walnut. Its omega count is insane—2500 mg for just 1 oz. To incorporate more walnuts in your diet, chop a few raw ones up and add them to your oatmeal, Greek yogurt, salads, and on-the-go snack bags. If you want the full lowdown on avocados, check out this article. 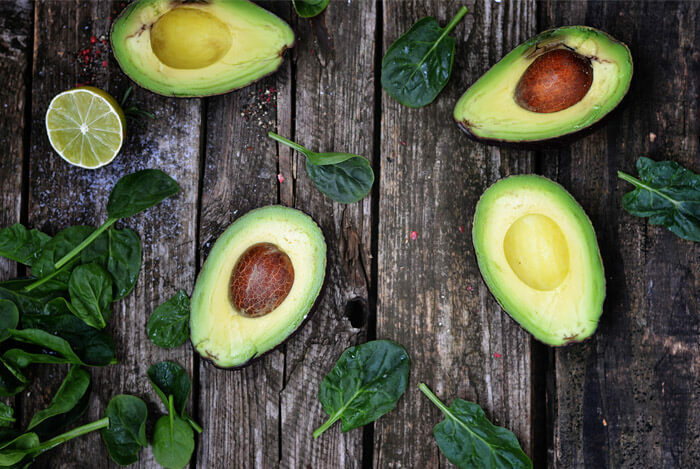 Avocados may not have an omega 3 count that’s as high as some of the other foods on our list, but with all of its benefits, it’s still worth weaving into your diet. These two fish (on top of sardines and salmon) offer some of the highest omega 3 counts around. 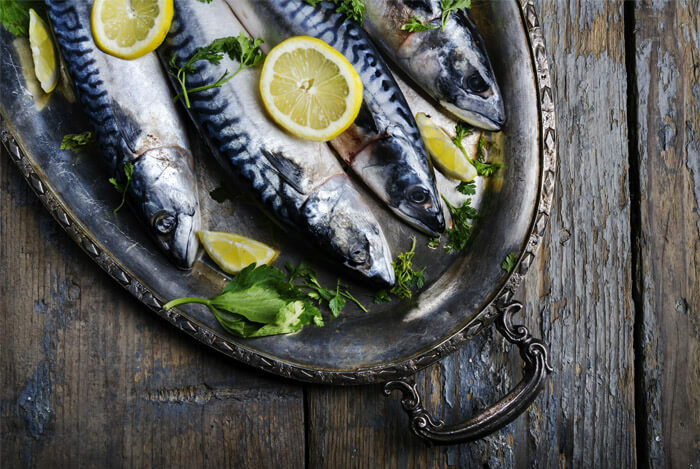 Mackerel has 2,991 mg of omega 3 for one filet while Herring gives you a whopping 3,181 mg.
To add more mackerel to your diet, try cooking it in a healthy oil at least once a week. Most people choose to take a fish oil or omega 3 fatty acid supplement because they have no idea that adding more omega 3s to your diet is this easy. What’s your take on omega-3 fatty acids? Have anything else you’d like to share? Let me know in the comments below!